Hello HCMA families! We have started this last week before February vacation off with a bang! On Monday I read a book called Snowballs by Lois Ehlert to the Pre- K class. If you are not familiar with this book, it is a story about building a whole family of snow people and animals using different and unique items. For example, a snow dad, snow mom, snow boy, snow girl, snow cat, and snow dog are all created using items like strawberries for noses, forks for arms, raisins for a mouth, car wheels for ears, etc. The kids and I talked about how these items are a little different then what we see when people make the "classic snowman" with a carrot nose and coal for eyes and buttons. We chatted how it's great to be creative and inventive by using all different kinds of things you might find in/around their house. I gathered some unconventional snowman items like q-tips, feathers, pasta, ribbon, acorns, buttons, beads, pom poms, etc. and gave the children free reign over what they created. Some kids made snow boys, snow girls, and even snow aliens and snow monsters! I loved how creative and detailed they all were when making their snow creatures. This craft was eyed and noticed by the older kids in Teacher Jen's class, and before I knew it, they all wanted to make one too! So I collected more materials, cut out more paper, read them the Snowballs story, and sent them on their way to use their imaginations as well! 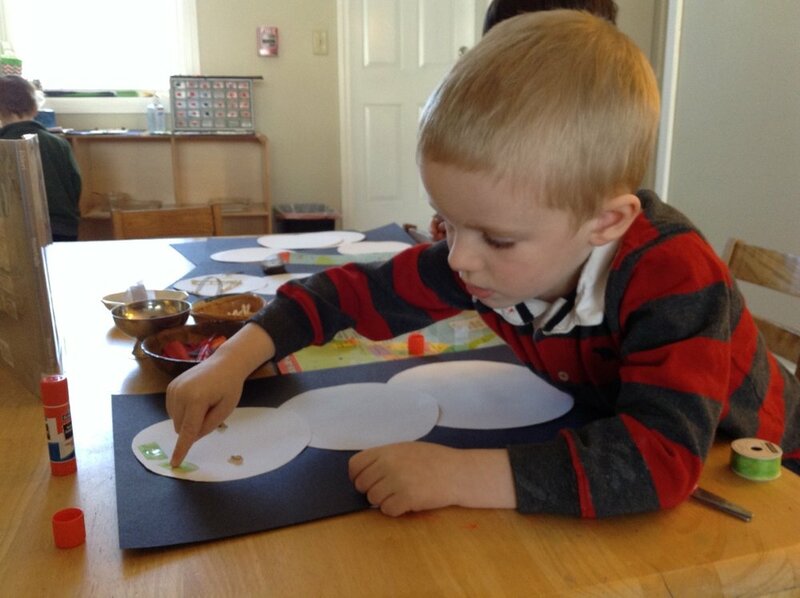 One extra piece I have done so far with the Pre-Kindergarten kids is that after their snow creatures were complete and dry, I asked each child to tell me about what they made and what kinds of materials they used. I typed up their quotes and added them onto their pictures as a finishing touch and a look into each of their thought processes and imaginations! Since the students in Teacher Jen's class have had more experience with writing, I will encourage them to write their own explanations of their snow people. It has been a great start to the week before February vacation! I hope you all will be able to spend some time off or with your loved ones during our school vacation. Have a great rest of your week and a wonderful week off!